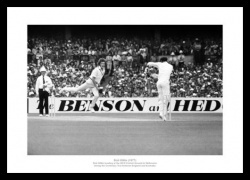 Botham bowling during his famous spell at Headingley. 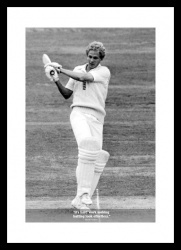 Three memorable moments from Botham's England career. 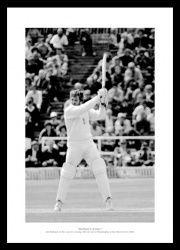 Botham on his way to 149 not out at Headingley. 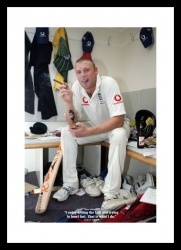 Flintoff in action action at Old Trafford. "I enjoy hitting the ball and trying to bowl fast. That is what I do." The team celebrate a crucial wicket. 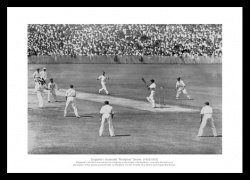 Harold Larwood bowls in the infamous series. 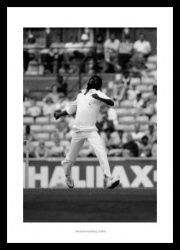 The West Indies legendary captain in action. 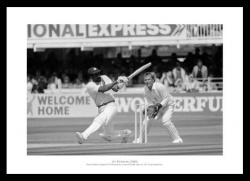 Richards batting against England in 1988. 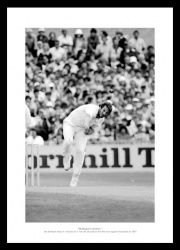 The majestic bowling action of Holding. 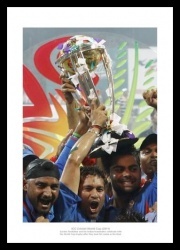 Tendulkar & teammates celebrate with the trophy. 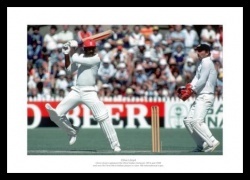 Tendulkar batting during the World Cup. 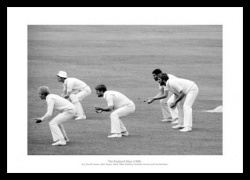 Gower, Taylor, Gatting, Gooch and Botham. 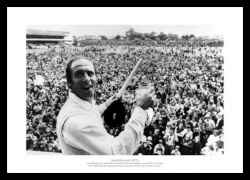 Geoff Boycott celebrates with his home crowd. 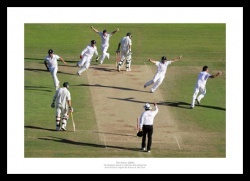 Strauss and the team celebrate retaining the Ashes. The moment the Ashes were regained. 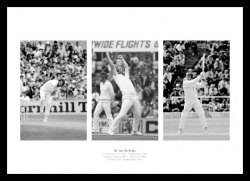 Bob Willis bowls in Melbourne. 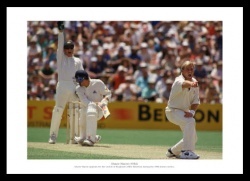 Shane Warne in action during the Ashes. It's hard work making batting look effortless.